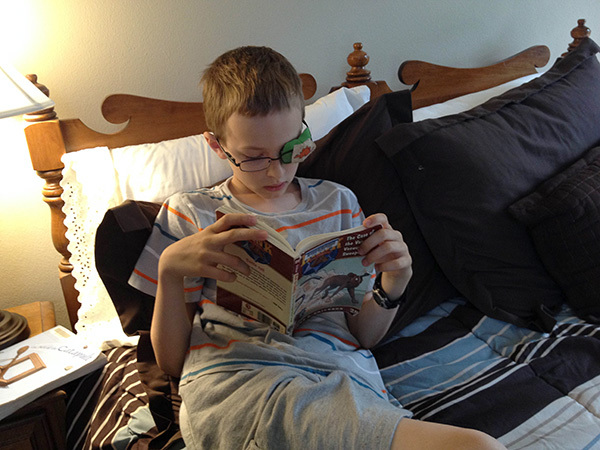 I always hoped that my boys would love to read as much as I do. I am never without a book or two (or three). My nickname on the bus when I was a kid was "Read-A Book". However, I have heard the stories that boys normally don't like to read as much as girls. In spite of that, I was convinced I was going to raise readers. A few years ago when I was a new homeschooling mom I was worried because Duke didn't start to read until he was seven. I always tell him that if he were in public school here he would be labeled as "slow". My niece wasn't reading or writing at six and her teacher had a conference with my sister telling her that her daughter was at the bottom of her class. Of course now at seven she is reading above her grade level. 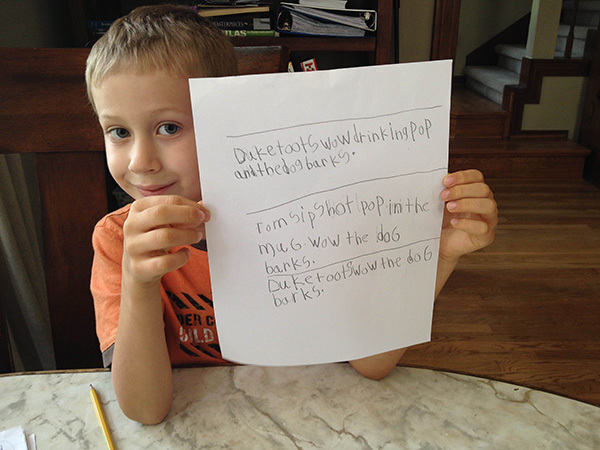 Just like his cousin, Duke wasn't ready to read before he was seven. He was more interested in playing in the mud, biking, shooting Nerf guns, and building Legos. I am not a huge fan of curriculum (yes, I am becoming more and more of a "radical" unschooler) but I found Phonics Pathways to be a great way to teach reading. That is really all we used and now Duke is an avid reader. He disappears in his room all of the time reading anything from cartoons to novels to magic books to books on the technology of WWI. He has been bitten by the book-reading bug. He loves series books like so many kids, and the Droon books are some of his favorite. Last week he realized that he had only two more books to go in the series and his eyes started "leaking" a tiny bit. I felt for him because I have read books so good that when they ended I almost felt like I was losing a friend. I told him I completely know how he feels and we will find more series that are as engaging and enjoyable as Droon. If you know of a great series for a boy around 9, please leave a comment below. Needless to say, I wasn't stressed when Imp turned seven and had no interest in reading. In fact, in the beginning of "first grade" this year when he was six I found out he didn't even know all of his letters! I had a brief flash of "I am a bad mommy", but quickly realized he just wasn't ready to read. So we just worked on the letters and sounds and didn't worry about putting them together. 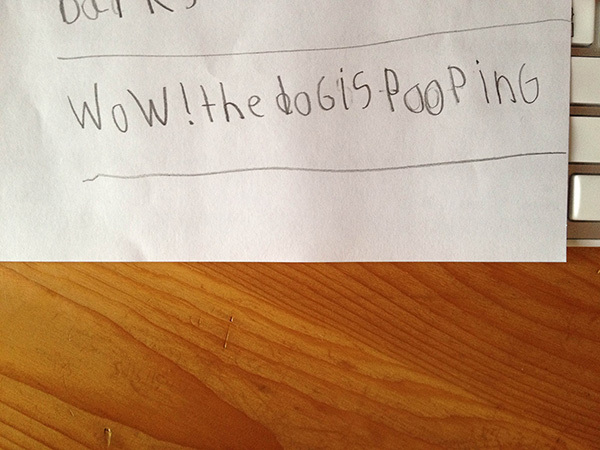 Then suddenly a few months ago Imp started asking me what different things had written on them (Duke would write "Imp is a stinky poop" on Imp's math sheet). Then suddenly Imp had an "eureka moment" and figured out how to combine letters into simple words. And last month he started reading simple sentences and books with enjoyment. Then this morning he grabbed a blank piece of paper and told me he was going to write a story for me and proceeded to write full sentences (with a bit of my help with spelling). This was the same kid who a few months ago told me reading was stupid. He is writing and reading with pleasure now and we are both so excited.